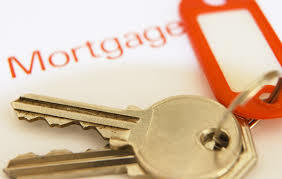 Did A Mortgage Just Get Easier to Obtain? It is so hard to get a mortgage…….not any more. A mortgage just got easier to qualify for. The real estate industry is finally getting it’s wish. Lending standards are loosening up. Fannie Mae and Freddie Mac’s new lending guidelines went into effect Monday, which are expected to help loosen up the tight credit standards that home buyers and refinancers have faced in recent years. It will now be easier to get a mortgage. The guidelines clarify when lenders will be penalized for making mistakes on mortgages they sell to the mortgage financing giants. Following the financial crisis, Fannie and Freddie forced banks to repurchase tens of billions of dollars in mortgage loans that they say did not meet their standards. It caused many lenders to tighten their lending, except to the most creditworthy borrowers with the highest credit scores. Lenders have blamed the lack of clarity from Fannie and Freddie on the tight credit conditions that have made it difficult for home buyers to qualify for a mortgage. This difficulty in getting a mortgage reduces the potential buyers. Less buyers means less sales. Less sales mean less purchasing of furniture, appliances, paint, carpet, tile, blinds, kitchen organizers…… less purchasing in general and so the entire economy is compromised. (OK too loose lending is bad too…you need a balance). Fannie and Freddie’s latest lender guidance is “going to be big, but it’s going to take time” to see the full impact of the changes, Laurie Goodman, director of the Housing Finance Policy Center at the Urban Institute, told The Wall Street Journal. Earlier this year, the Urban Institute estimated that up to 1.2 million additional home loans would be made annually if mortgage availability was at “normal” levels. Lending giants such as Wells Fargo and SunTrust Banks Inc. have said borrowers will likely see faster turnaround times on mortgage applications in the next few weeks. Some lenders also say they expect to broaden the range of borrowers they’ll accept by reducing credit-score requirements and making exceptions for consumers who faced a one-time financial event, such as a job loss or large medical bill. “It’s providing greater certainty for all the parties so that you can lend more confidently and make the whole judgment process much easier and more clear cut,” Mike Heid, president of Wells Fargo Home Mortgage, told the Journal. However, some banks still are treading cautiously and aren’t ready to relax their underwriting rules quite yet. “You won’t see us start to expand our criteria much past what we’ve done,” says Brian Moynihan, Bank of America chief executive. U.S. Bank CEO Richard Davis says his bank also isn’t prepared to make any changes yet. “Unless we are convinced that the rules are going to be permanent and there is not going to be a look back or a reach back in future times … we are simply going to stay on the sidelines in the concerns of both compliance risks and other uncertainties,” Davis told the Journal.